When it comes to Stag Do planning, time is of the essence! The sooner you start planning, the easier your life will be. So let’s dive right into it: here’s a rapid-fire guide to Stag Do Planning! Step one: Get yourself organised. 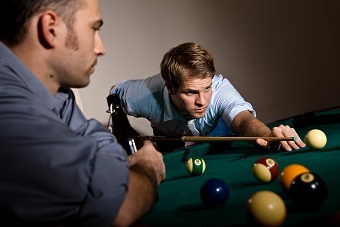 You’re going to need a clear head and a clear goal in order to get something as complicated as a stag do organised without the stress and the pressure getting on top of you. We can help with that. Simply order one of our free stag do planning checklists. It may seem like a very basic thing but it can be invaluable in helping you organise your thoughts and set clear goals, dates and deadlines, as well as helping you remember everything you need. Step two: Get everyone else organised. Everyone going needs to know when and where as early as possible in order to avoid any unwanted clashes or cancel­lations. You also need to make sure they’ve all got their places and payments sorted. Part of this respon­sibility lies with them of course, but you need to make sure they know what they’re doing since you’re the one who’s going to be chatting to the activity companies. You can do all these things and more with our My Events VIP Area feature on our website. It’s basically a hub which lets you keep track of all your mates progress, send out invites, plan with your mates in a group chat and so on. Check it out now. Step three: Decide what stag you’re after. You don’t have to take on the traditional ‘piss up’ people usually associate with stag dos. If that’s what you want, more power to you, go for it. But it doesn’t have to be that if don’t want it. There’s loads of stag do activities for you to try and I do mean loads. Kayaking, Life Drawing, Go Karting, the list goes on and on. Don’t take too long deciding though. Just pick and idea you and your mates think looks good and go for it, because you never know until you try! So there you go, a rapid-fire guide on how to plan a stag do, or at least how to get started. For help with booking or more information, you can call us on 0161 341 0052. Now stop reading and start booking!